PSS combines inventory from multiple distributors, this is to help reduce duplicate listings and allow for listings to remain active by aggregating multiple inventory sources into a single listing. We do this by combining inventory for products recognized as having the same brand and MPN values. Not all brands and MPNs are congruent among the different distributors so some discrepancies do exist; the PSS catalog team believes that this is the optimal model for eCommerce and spends a lot of resources ensuring the highest accuracy possible. 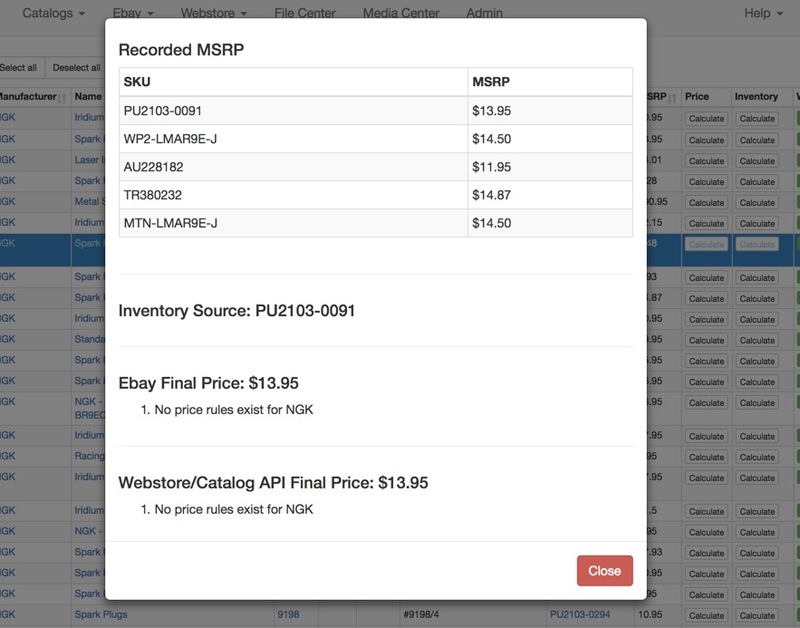 In the example above you can see how a single product can be available from multiple distributors, you only need to create a listing for 1 of these SKUs and PSS will automatically pull in inventories from any other distributors that you have entered the appropriate credentials for. If you create listings for multiple SKUs for one product that is fine, PSS will detect it and prevent you from creating duplicate listings. In regards to what SKUs price or inventory gets displayed on the listing, PSS will automatically determine the optimal SKU based of of available inventory and then fastest lead time. What if I don't want to sell/source all of the brands through all of the distributors? No problem, this is where your Fulfillment Preferences will come in; it is done on a brand by brand basis. For example, you can tell PSS that you only want to fulfill NGK spark plugs through Western. Or that you want to first check Western and then go to Tucker. Click New Preference to set one up. 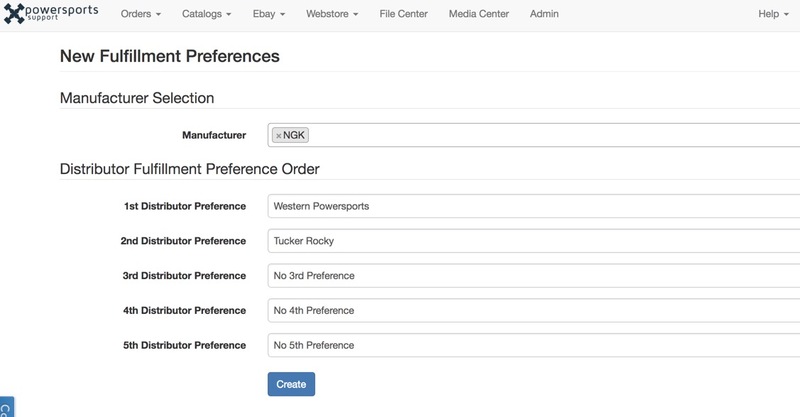 You will be prompted to add a Manufacturer, then assign a hierarchy of your preferred distributors. In the example above the Manufacturer "NGK" is set to push pricing and inventory first for Western Powersports, then Tucker Rocky. * If you only want a brand to fulfill from a single distributor you would just place one distributor in the preference. *If you temporarily want to shut off inventory for a brand simply set the fulfillment preference to fulfill from no distributors.